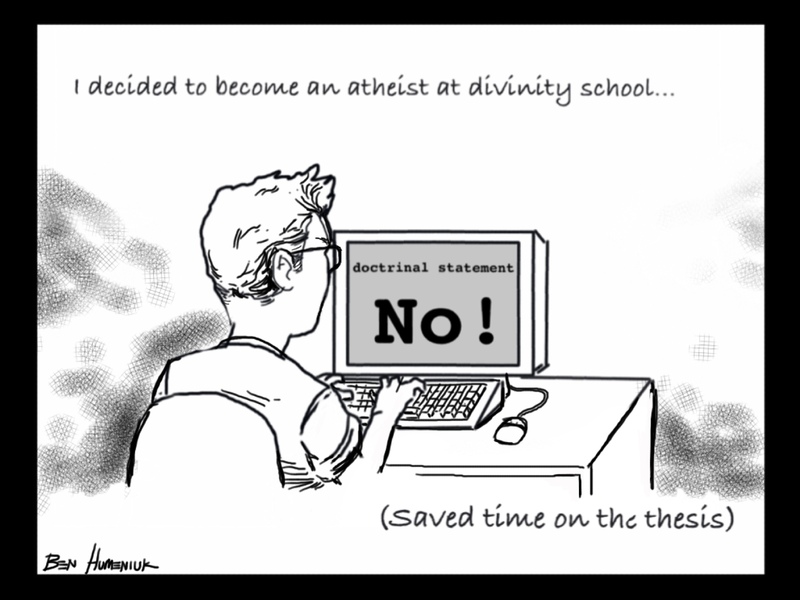 My buddy Daniel emailed me the other day asking if I had done any theology cartoons that he might be able to use. He was giving a talk to an adult small group at his church about the usefulness of a good theology (or in vernacular: worldview of God), and he wanted to use something funny as a hook. I had a couple I’d done for a Baptist journal, so I attached them to a reply and shot em ‘off. Then I read his notes and found a line in there that was too good to resist. So I went to work on the tablet. Everyone has a theology- even those who don’t have any truck with God at all.